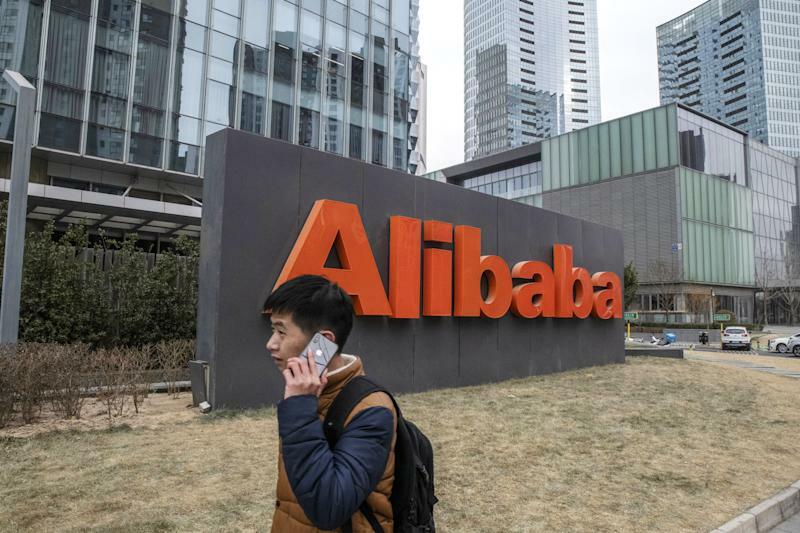 Alibaba (BABA) reported lower-than-expected revenue in its December quarter earnings on Wednesday. With 41% year-over-year revenue growth, it’s the slowest pace for the Chinese e-commerce giant since the third quarter of fiscal 2016. Hangzhou-based Alibaba posted 117.28 billion yuan ($17.5 billion) in quarterly revenue on Wednesday, versus 119.08 billion yuan estimated by FactSet. Adjusted EBITA margin was 30%, dropping from last year’s 43%. Analysts project that significant investments in video, payments, and new retail initiatives could further pressure margins. The company’s adjusted earnings per share of $1.77 slightly beat analysts’ estimates. Alibaba’s shares rallied as much as 3% during pre-market trading on Wednesday. Cloud computing is a bright spot for Alibaba. That division recorded a 84% year-over-year revenue jump to 6.61 billion yuan ($962 million). Alibaba said that was primarily driven by increased spending from enterprise customers. During the quarter, the company held in November its tenth Singles’ Day, a shopping holiday that brought in $30 billion in gross merchandise value within 24 hours. But concerns over China’s macroeconomic conditions are growing. China's broader online retail sales for November grew just 16%, according to the National Bureau of Statistics, the slowest pace since records began in 2015.